Ice is very effective for quick relief of pain from inflammation such as a new lower back sprain, neck pain or shoulder injury. However, you need to use ice correctly!! Place a cup of the ice in a zip lock bag & zip it up (or in any plastic bag). Wrap the zip lock bag in the tea-towel so that only 1 layer of towel covers it. Apply this directly to the inflamed area for 20 minutes. If you are not sure where, make sure Dr Richard shows you. 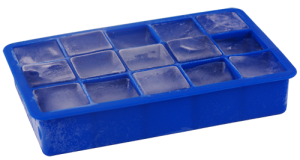 As heat rises you will need to place the ice on top with you underneath to allow the cold to circulate (e.g. Lie on your stomach with the ice on your back). This is important! Take it off for a 10-minute break. Repeat 2-3 times. You may need to replace the ice if it has melted. The reason gel packs are not effective is they can only transfer heat by conduction, but with ice in a bag, you also get convection. This results in literally 10 times the rate of heat transfer. Both heat and ice will give you an immediate sense of relief due to the distraction of the different temperature. But when there is inflammation, there is swelling, and swelling is increased with heat. Especially in the spine and shoulder, there is the problem of ‘constrained space’ meaning that this swelling can increase pressure and make matters worse. In other words, both heat and ice will feel immediately better but ice works MUCH better over the longer term. Used correctly, ice will give a deep penetrating cold and can result in remarkable relief. You can use it for acute relief and even ahead of time if you must do something you know will cause you trouble.